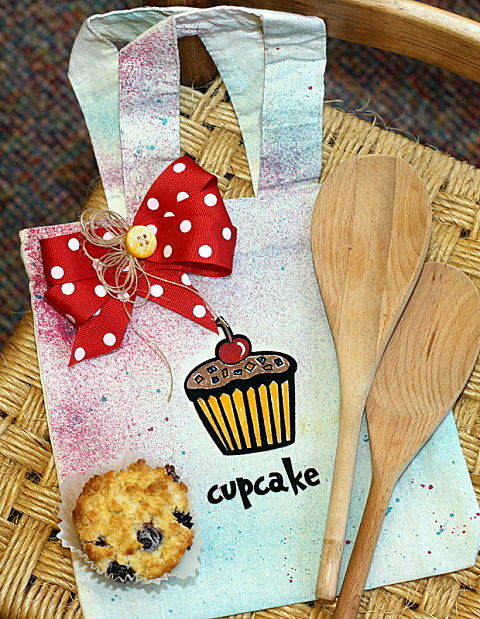 Hi, Connie here with a small tote bag using the Fuzzy iron-on art Cupcake by s.e.i. A fun project and would be ideal for a child, after the iron-on was placed on the project. The fabric markers by s.e.i were used to color in the Cupcake. What child doesn't love to color? Here is a break down of how the tote bag was created. Pre-heat the iron and place the iron-on, with paper side up, on the tote bag. Press firmly for 15-20 seconds. Let cool a few minutes and then peel off the backing. So cool to see the image come to life. Use the fabric markers by s.e.i. to color in the image of the Cupcake. 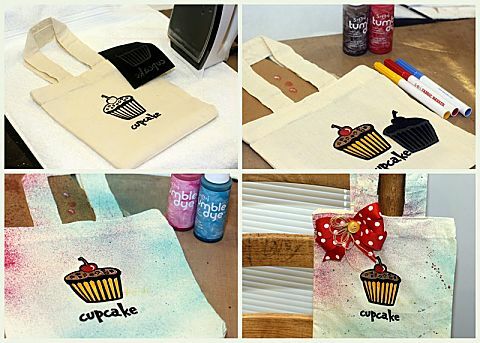 Use Tumble Dye to add color to the tote bag. Time to go crazy with all the fun colors of Tumble Dye. Add ribbons and embellish to your liking. Then add your favorite treats and share them with your friends! This could also be used as a gift bag for that special person. Check out the Fuzzy iron-on art by s.e.i.. So many fun images for boys and girls. Neat birthday party idea! !